I was completely crushed Saturday afternoon after my pitiful performance on the golf course. 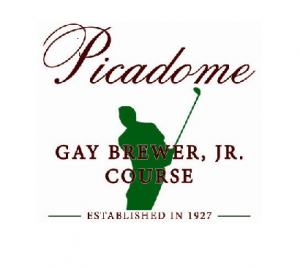 Saturday marked my initial foray into competitive golf with the first Picadome Men’s Golf Association event of the year, a flighted Skins Game. 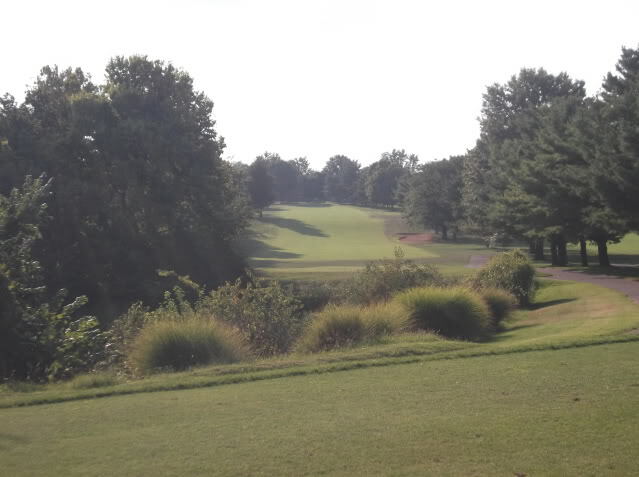 After a few delays due to extended sewer line work this spring, all 18 holes were finally open at Gay Brewer Jr. Course at Picadome. 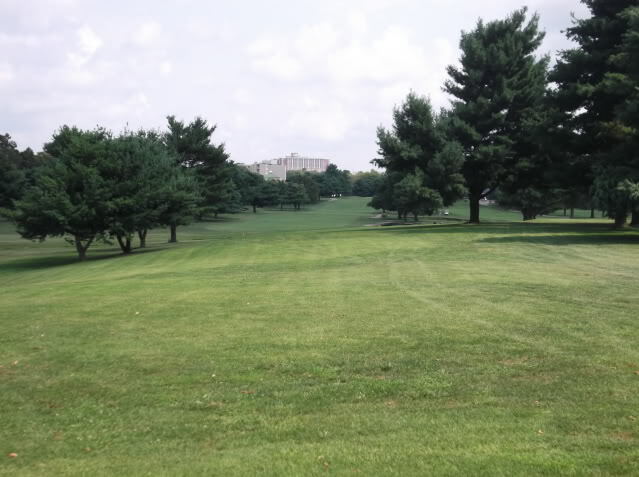 Instead of a triumphant entrance into competitive golf and my local club, I ended up laying a complete egg on the course; a choke-job of the proportions I hadn’t experienced since I swung well into triple digits at Cog Hill No. 4 last summer. I had been really looking forward to getting the golf season underway in earnest, but the forecast for Saturday morning wasn’t golfer friendly. It rained the night before, but the rain had stopped when I left the house 30 minutes before our 8:00 shotgun start. The rain started back up on my way to the course, so I thought surely the club would cancel the day’s Skins Game, due either to the sloppy conditions or too many no-shows. Wrong. 24 of 28 guys showed up and the guys were all full-steam ahead to play golf Saturday morning. So, before I’d even arrived at the course, I’d already committed one of what would be many big mental mistakes. And proved to be one of many “reasons” I concluded my 18 holes without seriously threatening for a single skin. I was playing golf with 3 strangers from whom I had no idea what to expect. It was my first ever competitive golf event (scrambles excluded). The Gay Brewer Jr. Course at Picadome is a narrow, parkland style course, on the heels of three straight wide open resort-style Hawaiian courses. I’d had a great range session the evening before, which is the kiss of death. I hadn’t played the course since last fall. I didn’t have enough dry towels. Both of my gloves got wet within the first few holes. We were playing the white tees, which were unfamiliar to me for the most part. I… I had a flat tire. An old friend came in from out-of-town. 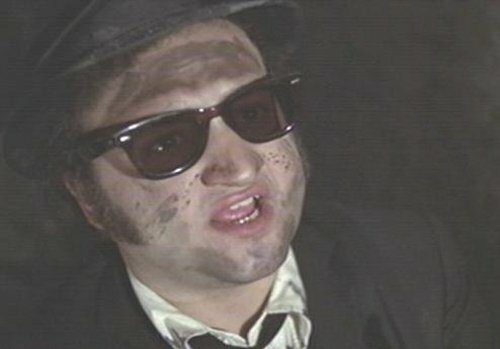 IT WASN’T MY FAULT, I SWEAR TO GOD! I’ve listed these excuses only to say I don’t have a good reason for the fact that I played terrible in my first real competitive setting. I was crushed. I couldn’t get off the tee all day. By not get off the tee, I mean the dreaded low hook returned with veracity. On those drives the low hook didn’t make an appearance, I generally pushed what would have been a nice gentle draw into/through some damn pine tree. A look at the 10th fairway from the tee. I’d forgotten how narrow the course is overall. I hit my irons great all day, long and short, both from the still dormant Bermuda grass fairways and the rough. I hit three really good bunker shots out of slushy, less than ideal sand (and mud) conditions, but failed to convert each up and down opportunity. I generally had the green speed down all day, but didn’t make much outside four feet. None of which changes the fact I couldn’t get off the tee, so I was playing catch up all day on most holes, which doesn’t lend itself to much productivity in a Skins Game format. Despite my performance, the day was not a total loss. I got the first outing out of the way. There some value in that in and of itself. I got to meet some of the guys that I will be competing with the rest of the year, and managed to have fun on an otherwise brutal day. The hamburgers, baked beans, and sodas at the clubhouse after the round actually did make me feel better, for a while. I was so bothered by my inability to hit my driver, which had been my strength for the past 3 or 4 weeks, that I headed out to the range armed only with my drive, 3-wood and hybrid, determined to figure out what had gone so wrong. Other than the obvious performance anxiety, it turns out that I had inadvertently abandoned my new fundamentals. I was swinging too fast, taking the club back too quickly and getting out position along the way. And, equally important, I wasn’t executing what has become my key move, keeping my hips in place, forcing me to turn, rather than sliding my hips back and then through. I figured these items out on the range, so I was able to sleep Saturday night. Every golfer has bad days, and one of mine was Saturday. But God willing and the river don’t rise, there will be a next time, and now armed with a little experience and perspective, I can’t wait to get back out on the course.